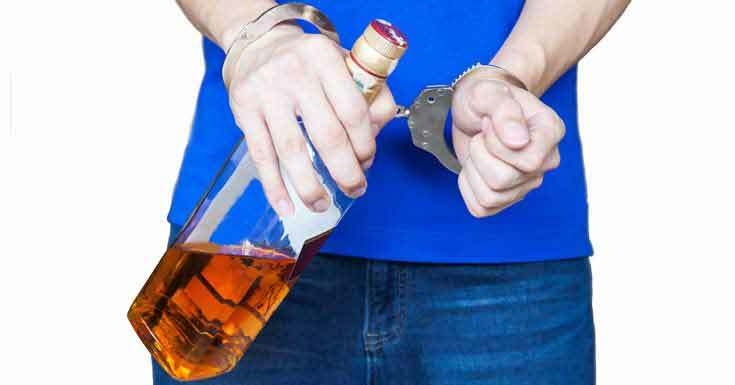 How Alcohol Is Detrimental To Your Joint Health? Can Alcohol Affect Arthritis Joint Pain? The harmful effects of alcohol on the nervous and cardiovascular systems, on the liver and kidneys are known to almost everyone. 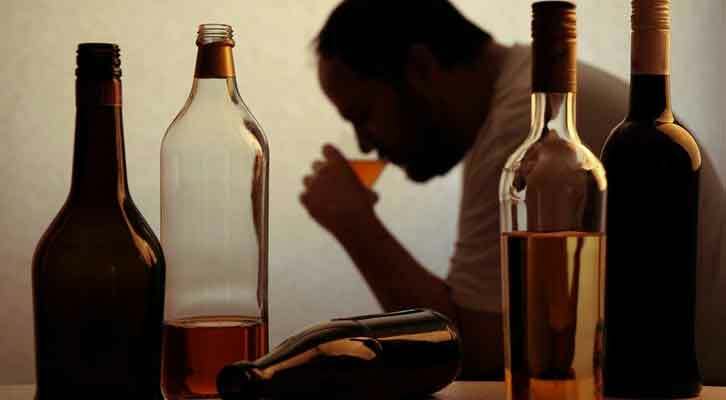 No one is surprised, when a drinker has a heart attack, myocardial ischemia, or various neuropsychiatric pathologies. But many continue to be surprised that drinking alcohol in small doses can also affect your joints. Often a suspicious soreness in knees is observed to appear to both alcoholics and those, fooling around with alcohol only on holidays. But the doctor´s recommendation to quit drinking alcohol is met with skepticism. Sometimes it is reinforced by the anesthetic influence of alcohol on sore joints, resulting in subsiding and dulling the pain for a while. Let´s try to understand, what is the real effect of alcohol on the joints. 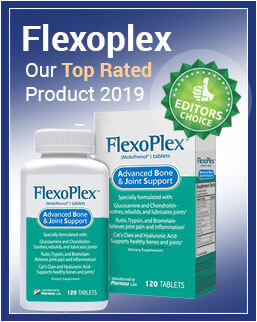 Any joint in our body formed by epiphyses – advanced bone end covered with cartilage. Joints are surrounded by protective articular bag of connective tissue with synovial fluid inside. This dense mass provides cartilage nutrition, painless and soundless movements, when epiphyses rub against each other. From early childhood, our knee joints are heavily loaded with being hurt by falling frequently, breaking knees, micro-traumas that cause various inflammations and infections that tend to develop a lot quicker for those, who drink alcohol on a regular basis. Due to the fact that the person in the course of evolution humans started to straighten their back while walking, the load on joints of their lower limbs has increased sharply. Cartilages of joints started to wear when walking, running and jumping. Influence of alcohol `forces` the cartilage to become thin or disappears at, which means now it´s only your bones that rub against each other while you move. Bones grow, deforming the joint and putting pressure on the receptors, causing constant pain when walking, which results in a nasty disease – osteoarthritis. Fragments of cartilage within the joints are absorbed by leukocytes, release of cellular enzymes provokes inflammation of the synovial membrane – synovitis. Gradually developing aseptic joint inflammation worsens after another dose of alcohol, leading to even more terrible disease – arthritis. Squeeze of the epiphyses that are not protected by cartilage leads to ischemia of the bones, characterized by inadequate blood supply to the body. Due to ischemia, bones do not receive the necessary nutrition and oxygen, resulting into the death of bone tissue and its decay – aseptic necrosis. Depending on the overall health condition, this disease can completely ruin the joint in the matter of 3-5 years. Insoluble urates, formed by the consumption of alcohol, can´t be eliminated from the body and deposit in the cells of different tissues. This develops resistant hypertension, kidney stones are formed and calcification occurs in the articular bag, tendons and ligaments. Urate crystals delve into synovial fluid and cartilage, penetrate the bone. Because of this, the main function of the kidney, which is filtering our blood, is disrupted, leading to inflammation of a joint, that sometimes appearing just after the regular libations – gout. How Exactly Is Alcohol Affecting Your Joints? The breakdown products of ethanol damage cell membranes, causing their permeability to increase. Intracellular metabolism is being rushed as a result, forcing the cells to work harder. The cartilage chondrocytes are not able to recover long afterwards. With regular consumption of alcohol, cartilage cells wear out faster because they need to regenerate constantly. Alcohol “washes”potassium out of the body, which can cause fluid accumulation and the appearance of edema, also possibly inside of the joint. This provokes an increase of pressure in the articular bag and the emergence of pain. Under the influence of alcohol, which modifies the neurohumoral reaction, protective function of our immunity system is reduces significantly. This may worsen chronic inflammations. Strong drinks considerably slow down the work of kidneys, preventing excretion of uric acid, which (combined with alkalis) leads to the formation of insoluble salts. They get deposited in the joints, causing a decrease in mobility. In addition to the direct connection between alcohol and pain in the joints, there are also indirect causes of discomfort after regular libations. One of them is obesity. As you know, the permanent usage of alcoholic beverages, especially beer, entails an increase in body weight. Pressure on the feet and joints force them to wear out faster. Beer, in addition, is usually consumed in large quantities and removes calcium – the main construction material for bones – from the body. People suffering from arthritis and receiving pain medication, might not feel the effects of drugs, when consuming alcohol. And might even forget to take it. The next day the pain will only increase. Going to parties, weddings and birthdays, we tend to dance and generally move more. From this results the pain in overworked joints next morning. We tend to sleep in the same pose after alcohol consumption: this can cause the feeling of numbness in legs and develop pain in the knees. What Measures Are To Be Taken? If joint pain constantly appears after consumption of alcohol, it is necessary to see a doctor. The joints, which bear a particularly heavy load, can start to hurt after a hangover, for example, because destructive processes caused by alcohol are already occurring in them. Bones love calcium-containing products. Your diet should constantly include products like milk, lettuce, yogurts, cheese, celery, almonds. After being done with alcohol, your diet must be enriched by products with high content of magnesium and phosphorus. The required amount of these two elements can be found in prunes, cabbage, sunflowers, cucumbers. It is necessary to return to a normal work schedule, spend more time in the sun. Joints like the heat and sun’s rays promote a special vitamin-D, without which an exchange of phosphorus and calcium in the human body is impossible. Functional state of articular tissues can be improved by sports, regular walking. Be wary of excessive loads. 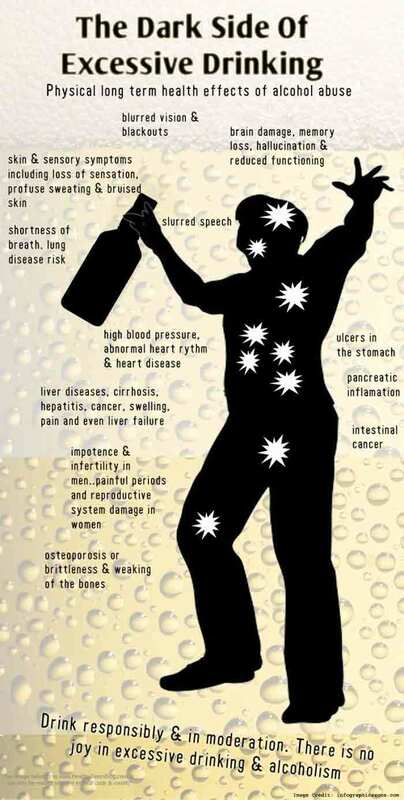 Alcohol is the worst enemy of all musculoskeletal human tissues. Only a healthy lifestyle combined with a proper diet contributes to health and prevention of diseases in the joints.